A Three Ingredient Protein Pizza! I never dream about Pizza Hut or a McDonalds burger or fries or Taco Bell or Dairy Queen or Krispy Kremes or sweets or sugary desserts; they just don’t excite me. Which brings me right back to this post about pizza – protein pizza. I love it. It’s so easy and quick to make! And I eat it a lot, something with protein powder, sometimes without – and every time I nommmmm like a crazy person because Zeus! It’s fantastic! 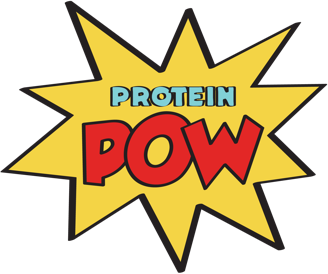 And you can do so much with protein pizza too – you can flavor it however you want, tweak its macros to fit your goals, top it with all sorts of meats and veg and in a matter of minutes… BOOM! Pizza!